Chambers Public School is seeking applicants for the Head Cook position for the 2018-2019 school year. Pay will be negotiated based on experience and skills of the successful candidate. 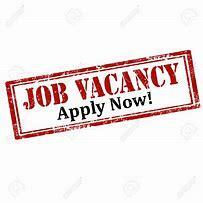 Send a letter of application and resume to Frank Jesse, Chambers Public School, PO Box 218, Chambers, NE 68725 or visit our website at www.chamberspublic.org to complete an application and send to frankjesse@esu8.org. COPYRIGHT © Chambers Public Schools 2017. All Rights Reserved.